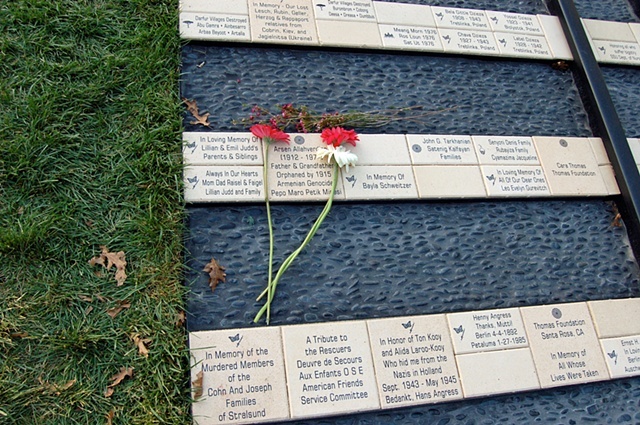 The names of victims memorialized in brick remind us that we are all still vulnerable to the devastation of genocide. To order a brick please visit-www.sonoma.edu/holocaust/grove/bricks.h? Proceeds from brick purchases support the Center for the Study of the Holocaust and Genocide at Sonoma State University.